Astronauts heading to the moon within the next five years could very well live in the comfort of a three-floor, four “bedroom” inflatable space house, designed right here on the Front Range. 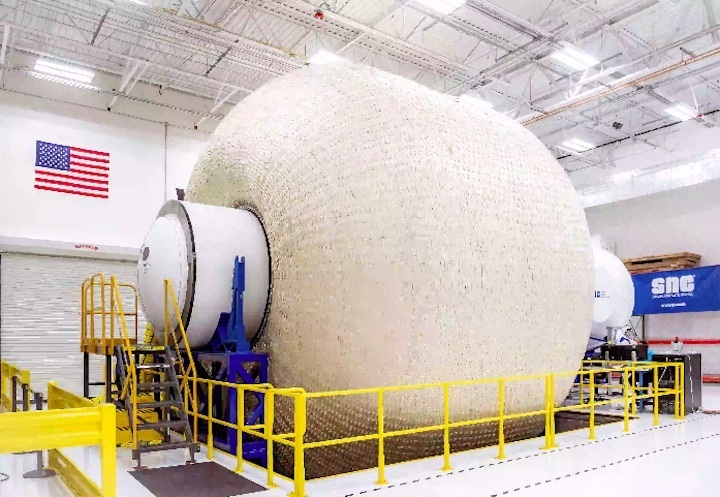 Sierra Nevada Corporation’s Space Systems division — known primarily for the Dream Chaser space plane — will soon send its inflatable habitat prototype called LIFE, or large inflatable fabric environment, to Johnson Space Center in Houston, Texas. There, it will undergo ground testing, in hopes of becoming part of NASA’s modular spacecraft called Gateway that will orbit Earth’s moon. It could also potentially serve as a crew habitat for a trip to Mars, for which the typical NASA-required duration is about 1,000 days. Vice President Mike Pence on March 26 announced an accelerated schedule to return humans to the moon within the next five years. Gateway will serve as a space center of operations for those missions, orbiting the moon about 250,000 miles away from Earth. The LIFE habitat resembles a giant paper-lantern-shaped balloon, covered in a thick woven canvas. It’s designed to be launched, deflated, inside the nose cone — or payload fairing — of a rocket, the standard size being a 5-meter diameter area. Once in space, it will be inflated — a process that will take several hours — to a size that’s 27 feet in diameter and 27-feet long. From the outside, LIFE looks like it would make for a cramped living space for four people. But, as they say, it’s bigger on the inside. The interior houses three floors of living and work space, complete with a medical bay, science labs, robotics stations, a galley, two hygiene centers and a toilet. 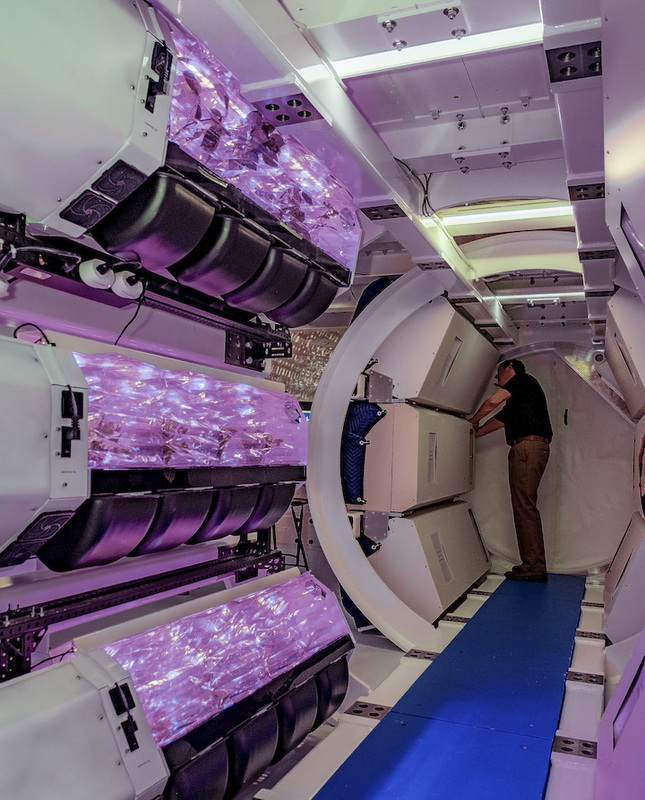 There’s also exercise equipment, docks for iPads for movies during down time, and a multi-tiered space garden to provide fresh produce for the astronauts. The habitat’s outer mesh is made from super-strong Vectran — a material used in making bulletproof vests — designed to keep the pressurized interior of the habitat comfortable for the crew. There’s an inner urethane bladder to keep air inside, a middle nylon layer, along with several layers of 4-inch-thick foam and six sheets of Kevlar. Much like its predecessor, the International Space Station, Gateway will be built from various modules supplied by U.S. companies and international partners. Getting habitats and other components of large orbiting vehicles into space is no small feat. The majority of space-faring modules are rigid structures, which have to completely fit inside a standard 5 meter rocket fairing. 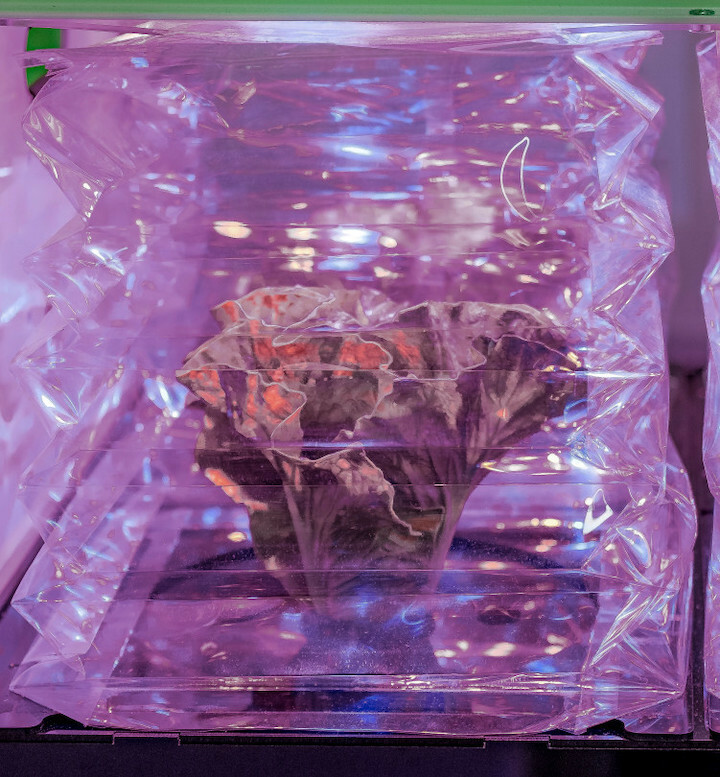 However, using a compact, inflatable design offers NASA much more flexibility, a lot more room for science and living space, and rapid deployment, Lindsey said. But why the moon? There are many reasons, Lindsey said, from as lofty as understanding the origins of life on Earth to as utilitarian as converting the moon’s regolith — the loose, dusty material covering its surface — into components of rocket fuel, saving costs and other issues associated with transporting rocket fuel all the way from Earth. In late 2014, Space Systems lost out to SpaceX and Boeing for the NASA Commercial Crew contract to ferry astronauts back and forth to the ISS — a decision that the company unsuccessfully protested. In January 2016, Dream Chaser was one of three winners of NASA’s Commercial Resupply Services-2 contract. In order to win that contract, the space plane was reconfigured with cargo modules and systems. And, somewhat serendipitously, that reconfiguration ended up informing the design of another NASA-requested Gateway prototype: the Power and Propulsion Element, or PPE. SNC’s PPE design utilizes both Dream Chaser cargo modules and hardware for its solar-powered module that generates juice for communications, thrusters and other critical functions. NASA is currently testing, at various facilities around the U.S., the various Gateway habitat and PPE prototypes submitted during this round. Based on the results, the agency is expected to choose elements from some, or all, submitted prototypes to develop its final Gateway module requirements. NASA expects to launch the first segment of the Gateway spacecraft in late 2022. Space Systems’ parent company, Sierra Nevada Corporation of Sparks, Nev., has about 4,000 employees total, with between 700-800 working on the Dream Chaser project in Colorado alone. 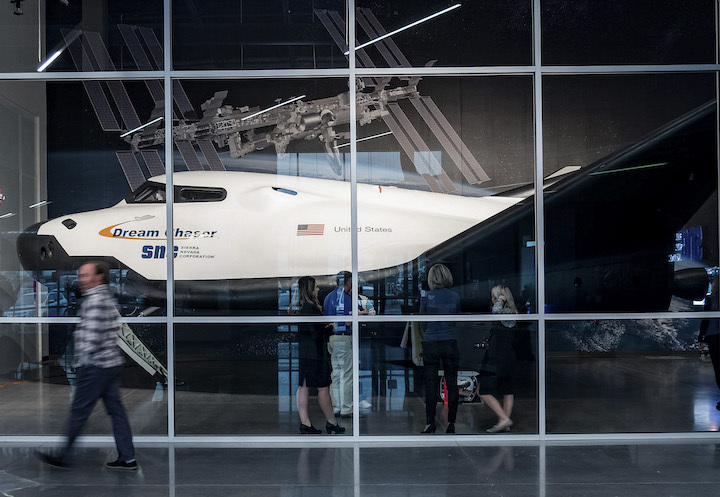 They have several facilities on the Front Range, including three in Louisville — where both the Gateway prototypes and the Dream Chaser vehicle are built — and about 1,500 employees at a facility near Centennial Airport. There are currently about 187 jobs listed open with the company in Colorado. Colorado boasts the United States’ second-largest aerospace economy, with an estimated 190,880 aerospace-related jobs in the state, according to the Colorado Space Coalition, the state’s primary aerospace economic development industry group.